This isn’t remotely like Watergate. 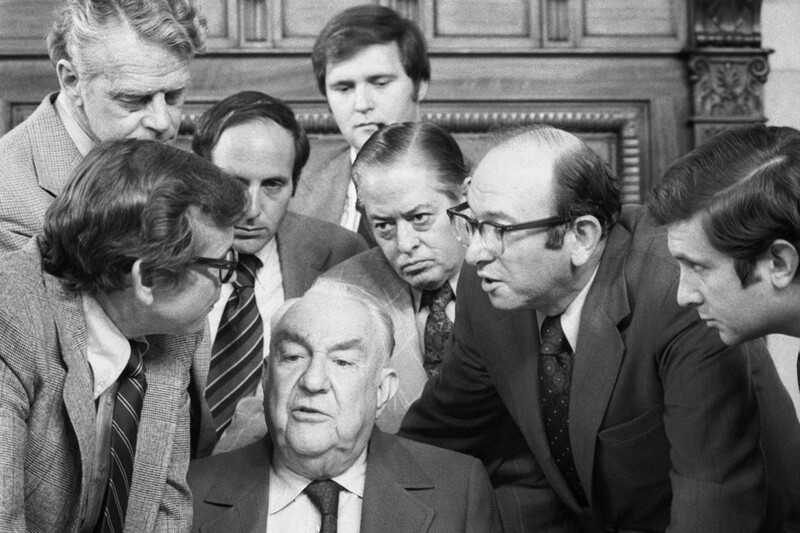 During Watergate, honorable people in government resigned rather than be associated with improper acts. As so often, James Fallows explains, clearly and patiently, reminding us what Watergate was and was about, and exploring how the current goings-on are like – and unlike – that precedent. The tangled affair now known as Watergate began 45 years ago, before most of today’s U.S. population had even been born. (The median age of Americans is about 38, so most people in the country were born in 1979 or thereafter.) Thus for most people “Watergate” is a historical allusion—obviously negative in its implications, since it led to the only presidential resignation in American history, but probably hazy in its details. For me, Watergate is anything but hazy. I’d left graduate school and begun my first magazine job, with The Washington Monthly, in the fall of 1972, as news of the scandal emerged. Over the next two years, until Richard Nixon’s resignation, I was living in D.C. and tracking the daily progress in clue-following and domino-toppling via stories in The Washington Post and elsewhere—and then the riveting, televised Watergate hearings that made national celebrities of politicians like Senators Howard Baker and Sam Ervin, and of White House aides like Alexander Butterfield (who revealed the existence of Nixon’s secret system for taping White House conversations) and John Dean (who as White House counsel had told Nixon, “there is a cancer on the presidency”). Anyone of conscious age in that time can probably remember the jolts to national sentiment that the near-daily revelations evoked. So I’ve been thinking about comparisons between Watergate and the murky, fast-changing Comey-Russia-Flynn-Trump affair. As with anything involving Donald Trump, we have no idea where this will lead, what is “true,” and when the next bombshell will go off.